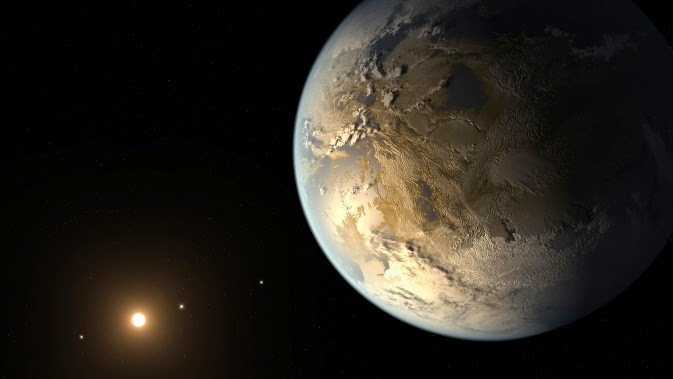 The Kepler Space Telescope has discovered the first Earth Sized planet orbiting in the habitable zone of its star. The Telescope has discovered an amazing number of planets (nearly 2000) since it started its search. However, Kepler 186f is the first of these planets which is of roughly the same size as the earth (1,1%). Of course it is too far to visit (it´s 500 light years away), but it is a very promising candidate to have developed life. 186f is much closer to its star than the Earth is to the Sun, but it´s no problem, because this star gives off much less energy than ours, it´s an red dwarf star.